I'm Curious Too: Why Are Wedding Dresses White? Have you ever wondered why are wedding dresses white? Why not blue, green, yellow or red? I was watching the movie Sleepless in Seattle on TV last night when the thought struck (and to be honest, it's quite annoying when your mind suddenly think of something and you have to go google for answer ASAP). Of course we have seen wedding dresses of other colors in recent years, especially red dresses among the Chinese community. But white wedding dresses are still the most popular of them all. A little googling reveals that the tradition began when Queen Victoria of England wore a white wedding dress at her wedding in 1840. Prior to that, wedding dresses were merely formal dresses for special occasions, and they could be of any colors except red and black which were associated with prostitution and mourning respectively. 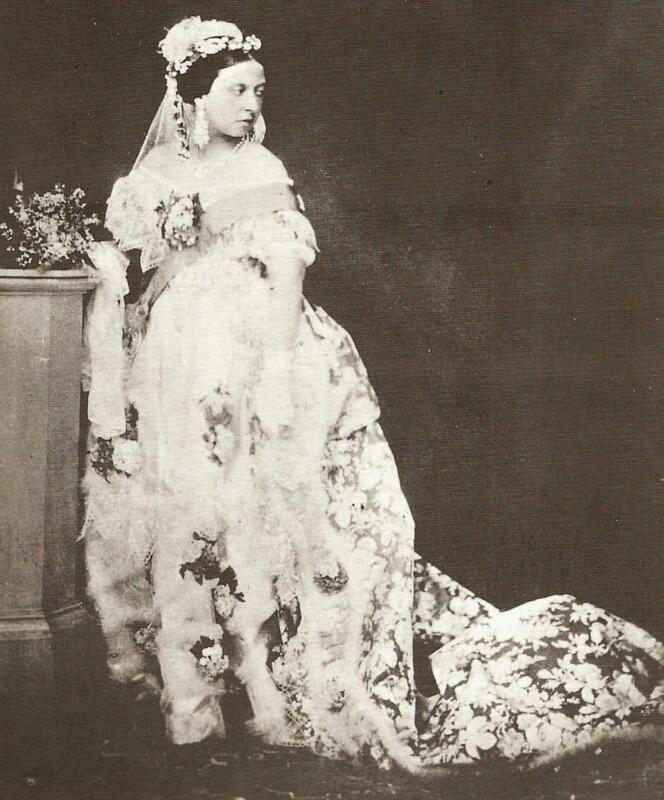 Queen Victoria's wedding photographs were widely publicized, which led to the eventual rise of white wedding dresses. The funny thing is that the photograph was in black and white, so of course the general public then couldn't distinguish whether it was really white or slightly grey. Or light blue. Or yellow. The white dresses were, however, only popular among rich women initially because the dresses could not be washed for another occasion. Apart from wealth, white is also associated with virginity, innocence and happiness. Ironic, given the diminishing faction of ladies who remain virgin until marriage nowadays. Nice wedding gowns for nice wedding brides. Any brides need a wedding gowns can get it here. Beautiful wedding dresses, every girl dreams to have a perfect wedding dress. No wonder that white wedding dress looks simply alluring to a woman. Good idea you have post. Since white is the color of love and shows the bride’s affection for her groom. Therefore, brides wear a white wedding gown on their grand days. If we are just talking color, I would probably go with light blue. BUT, if that first emerald green dress or the Jenny Packham dress were options, I would definitely go with one of those!! SUCH gorgeous dresses.